Unbelievable.That is the only word fit to describe the fact that the world’s tallest, most luxurious, lavish and downright most expensive single-family home has been left lying empty for what is now more than a year since its completion. People are understandably angry at the waste. But that is not the only unbelievable thing about this mammoth building built by Indian billionaire Mukesh Ambani. 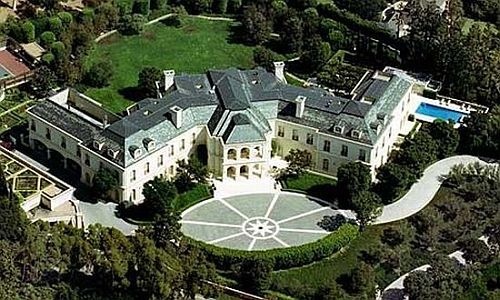 The most expensive single-family home ever sold in America has just been bought for $100 million by a Russian billionaire. The lush mansion in Silicon Valley has been compared to a French Chateau, thankfully they said on steroids because apart from its size, the mansion has little else in common with any Chateau! With 5 bedrooms, 9 bathrooms, a ballroom and indoor and outdoor pools the 25,500 square meter mansion on 11 acre grounds is certainly an impressive home. However its buyer, Yuri Milner, who lives in Moscow with his wife and family, told the Wall Street Journal through a spokesperson that he has no intention of moving into his grand new acquisition. 49 year old Milner made his fortune with Digital Sky Technologies and well timed $200 million investment in Facebook 2 years ago, which is now worth $10 billion. Yuri Milner also invested in GroupOn. Meanwhile, back in the real US world — where people still buy houses to live in them — house prices are still falling practically across the board, with the average house price in some major cities lower than it has been for 11 years. It really had to happen didn’t it? Just a few months after the Indian billionaire Mukesh Ambani unveiled the world’s first $1 billion private residence, a sky-scraping luxury tower in Mumbai, we now have the streets of Monaco set to sail the sea as the world’s first $1 billion dollar yacht. 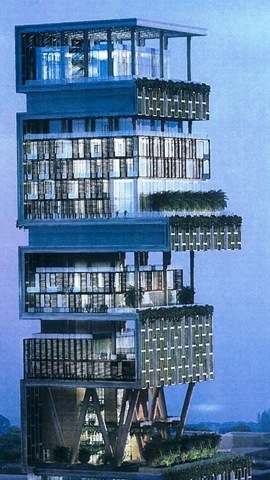 $1 Billion Antilia (Mumbai) – The Worlds Most Expensive House Completed! 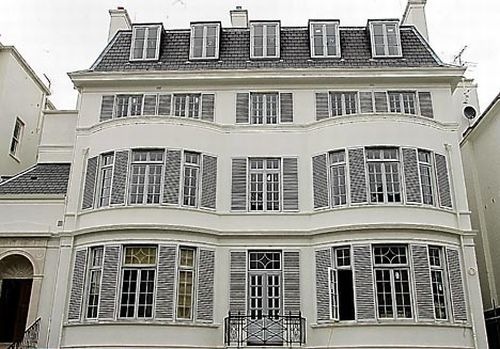 The world’s most expensive home is complete. The $1 billion (£630 million), 27 storey tower block in Mumbai is the home of Mukesh Ambani — the richest man in India, fourth richest man in the world –, his wife and their 3 children. It is difficult to know what to call it. It is far too big and grand to call it a house, the fact that it has more floor space than the palace of Versailles and 600 staff would ordinarily make it a castle, or Mansion, but can you call a sky scraper a mansion? 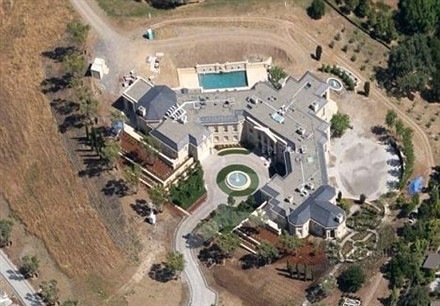 The world’s most expensive home in 2010 is unquestionable. It is the first $1 billion home the world has seen. 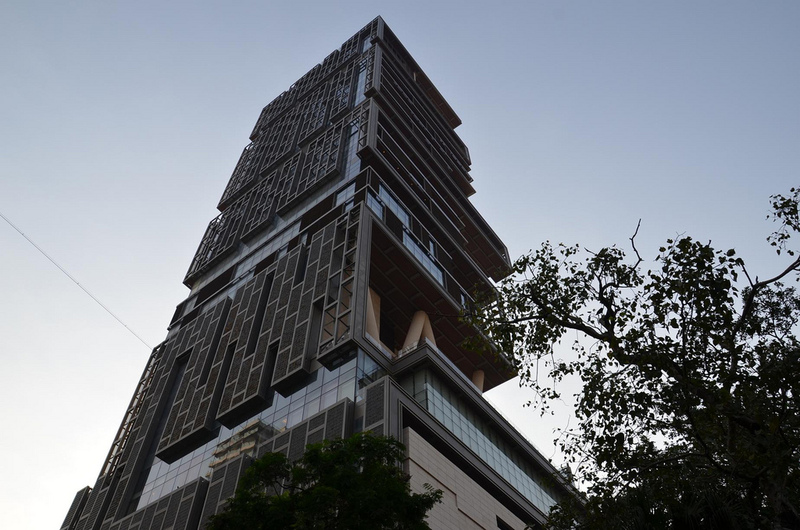 A custom-build 27 story towering mansion, Antilla in Mumbai is the home of the world’s fifth richest man, namely Mukesh Ambani, head of Indian petro-chemical giant Reliance Industries, which is India’s most valuable firm by market capitalization. With double height ceilings, ballrooms, crystal chandelier ceilings, retractable stages, and 600 servants, there is no other home on earth that compares to the 570 feet tall Antilla. 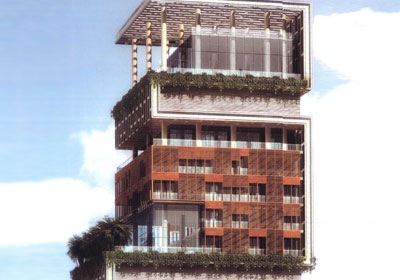 Update: World’s Most Expensive House – Antilia (Mumbai) Lays Empty! 2. 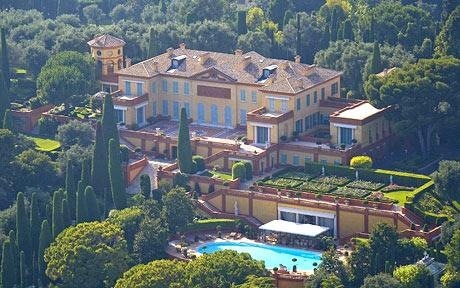 Villa Leopolda, Cote d’Azur France – $525 million. Villa Leopolda is an 80,000 square foot Chateuau built in 1902 by King Leopold II of Belgium. The villa has been rumoured to be the home of Bill Gates and many more global figures, but has actually been home to French banker Edmond Safira, whose wife Lily still lives there. The 19 bedroom villa, which boasts sports courts, a bowling alley, multiple kitchens, dining rooms and a movie theatre, received even more press lately when a Russian mogul lost his deposit on the property when he reneged on completing the sale. This massively stylish modern penthouse may not be so expensive did it not sit atop the famous number 1 Hyde Park address. As it is in such a premium location it has been built as a home for the rich and famous complete with SAS guard, bullet proof windows, iris scanners, panic rooms and a secret tunnel to the nearby Mandarin Hotel. The building has communal spas, squash courts and wine tasting rooms, and the penthouse is served by 24 hour room service. This 63 acre home is considered the largest residential compound in America. The 29 bedroom beachfront home of publicity shy billionaire Ira Rennert has 5 sports courts, a bowling alley and a $150,000 hot tub. Anyone else spotting a trend here (the most expensive homes being mainly in the UK and US, this making it 2 all). This Victorian Villa was a girl’s prep school until 1997, when it was bought and upgraded in 2006. After receiving a £10 million overhaul and refurb it was purchased by Ukrainian AIDS philanthropist, Elena Franchuk, and renamed the Franchuk Villa. 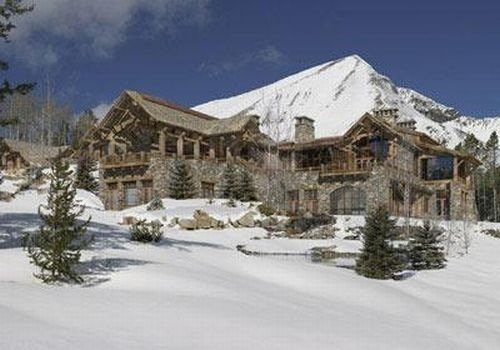 This is the home of Time and Edra Blixseth, owners of the billionaires-only golf and ski resort “Yellowstone Club” in Montana. It will be the largest and grandest property on the resort, but is still small in comparison to some of those on this list, with only 10 bedrooms. To catch up the property has impressive features such as every inch of floor being heated, a heated driveway and fireplaces in all bathrooms. (3-2 to America). 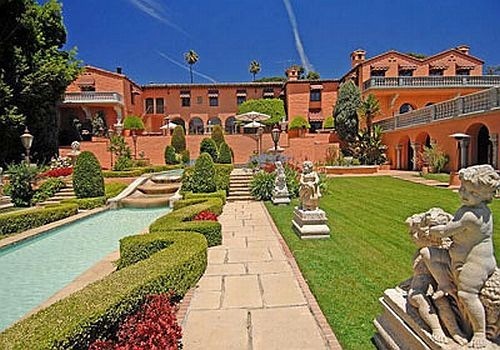 The home of Aaron Spelling, dubbed “The Manor” by wife Cindy, has 123 rooms for his family to choose from, an indoor skating rink, multiple pools, three kitchens, sports courts, private orchard, and a bowling alley. The home, which he had built from scratch in 1991 also has a room used exclusively for wrapping presents and an entire floor dedicated to closet space. The description of this home is above, as it was the 3rd most expensive home in 2008. What is interesting however, is that in 2008 it was valued at $110million, meaning its value has grown substantially even during such difficult financial times. This home needs no introduction. Built in the 14th century, the castle is now a national monument and museum thanks to the legend surrounding it, which also needs no introduction. It has 57 rooms in total, including 17 bedrooms filled with antiques and historical artefacts. 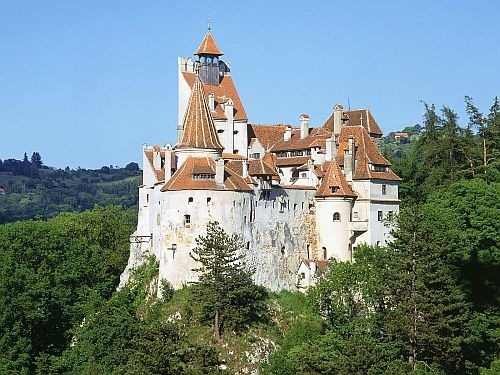 It wouldn’t do for the publicly shy Ira Rennert mentioned above, but for the quirkier billionaire, the 450 million tourists that visit every year may be worth it for living in Dracula’s castle. Fighting off the hordes of annoying paparazzi is a full time business for many celebrities as late Princess Diana knew all too well after being snapped with her lover Dodi on a yacht in the French Riviera. But how does one famous enough to attract those camera-wielding critters on two legs protect oneself against the ever annoying press? The answer is; it’s hard unless your name is Roman Abramovich, and you are a Russian oligarch clever enough to have come up with a novel solution to protect his privacy. Abramovich has installed an anti-paparazzi shield on his newest yacht Eclipse- the world’s biggest and most expensive private yacht to deflect the pack. His new invention could soon become standard procedure for the rest of the world’s billionaires in order to starve off happy-snappers.